This recipe in Lommebogen and Savoy is designed for 6 people, using glasses for measurements, and so I broke it down to one drink size. 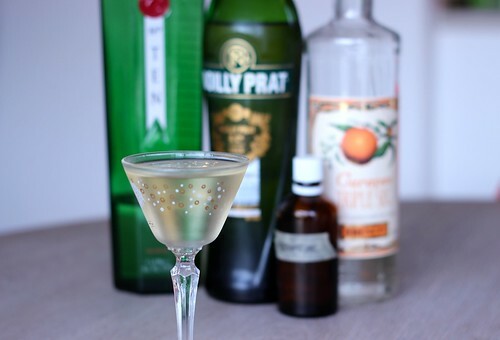 The only difference in the books is that Café Royal does not include absinthe in its recipe. This looks like a nice riff on a dry martini, with some orange notes and sweetness to round it out. Mmm, quite nice really. A little on the sweet side with that grand marnier, but not it isn’t cloying, and is really an easy drinker. Next postWhat are the Popular Cocktails People Actually Drink?